All Time Low are the most recent band to pull a sick stunt to get our attention, but they didn't start the trend. Oh no. This has been going on since time immemorial, so we thought we'd take a trip down memory lane and reminisce about some of the best hype-building stunts bands have pulled in recent times. Let's kick it off with the band who started us off thinking about this in the first place. In case you've missed it, this week All Time Low have been sending fans birthday cakes on their birthday with a link to alltimelow.com/birthday taped to the box. The link sends fans to a brand new, unreleased All Time Low song 'Birthday'. Basically, this is a textbook hype-building stunt that has social media buzzing. While not on this year's Warped Tour, the lads in Trophy Eyes have still managed to make an impression. Reports have surfaced of some sweet custom $100 bills being strewn across various Warped Tour festival sites featuring the face of one John Floreani. The $100 bills hold significance with their upcoming album 'The American Dream', and the album's artwork which features an origami $100 bill, set on fire. Somehow this is often overlooked and forgotten, but was a truly iconic launch to the 'Folie À Deux' album cycle. It has everything you could ever want from a stunt- doughnuts, Pete Wentz in a fake moustache, paparazzi... Not to oversell it, but it's the stuff of both myth and legend. Put simply, Fall Out Boy purchased a foodtruck, and converted it in to a mobile doughnut delivery vehicle, dressed Pete Wentz up, and sent him out delivering boxes of doughnuts around Hollywood with copies of the unreleased 'Folie À Deux', and a host of other one-off special pieces of memorabilia hidden underneath the doughnuts. 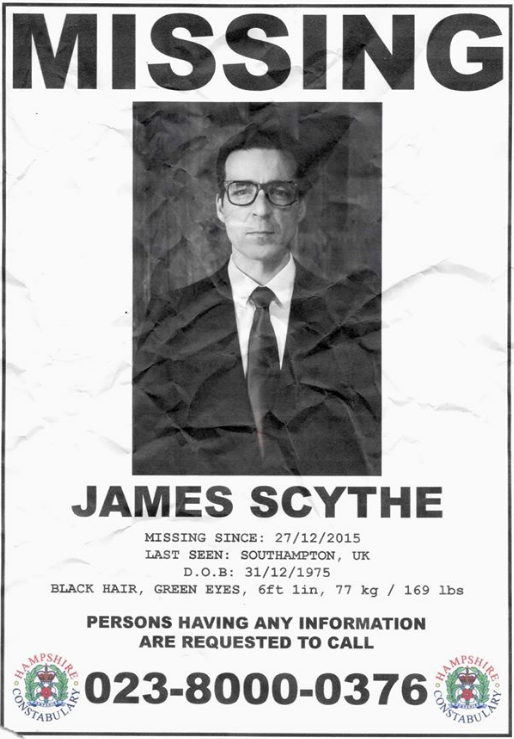 We don't have the time to go in to the full story of the 'Where Is James Scythe' stunt that they pulled, because it's incredibly well thought out and complex, and to tell any part of it less than the entire story would be doing it a disservice. 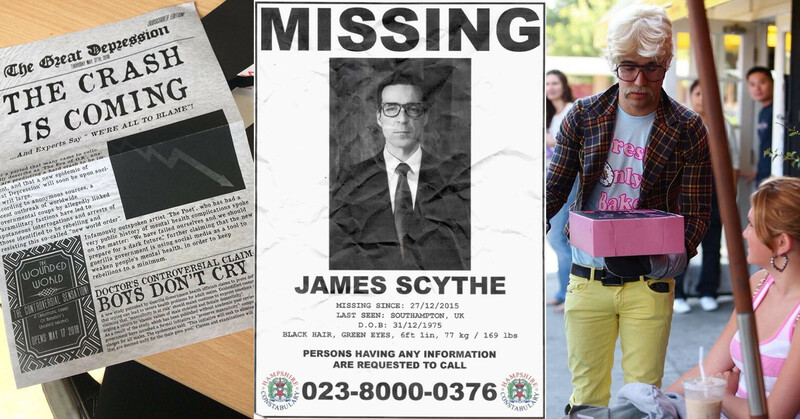 It involves posters, a physical scavenger hunt in the band's home of Southampton, missing persons reports, a Facebook messenger chatbot, a funeral and a book chronicling the entire thing. Which all lead up to the release of new music. It's a wild ride, but worth the read. Check out the entire thing on this fan-curated tumblr. 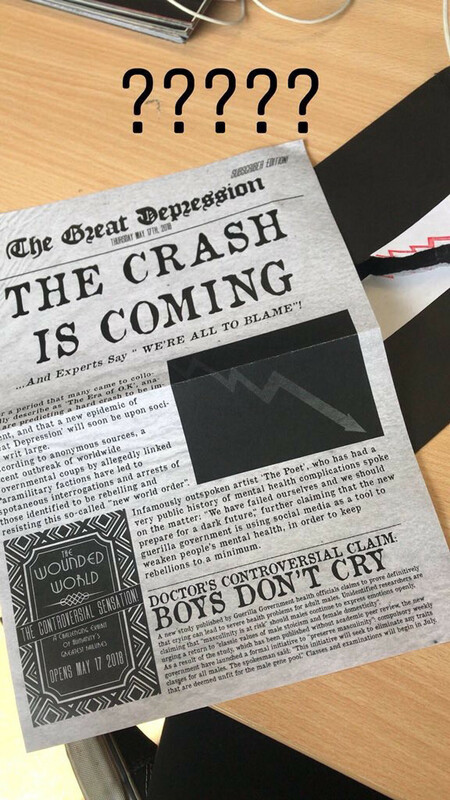 Absolute scallywags, As It Is sent fans in to a lather earlier this year when they posted newspaper clippings teasing their new album 'The Great Depression' to fans. In the post. Kicking it proper old school. This was followed up with the official announcement of the album the next day, and the release of the first single 'The Wounded World'. 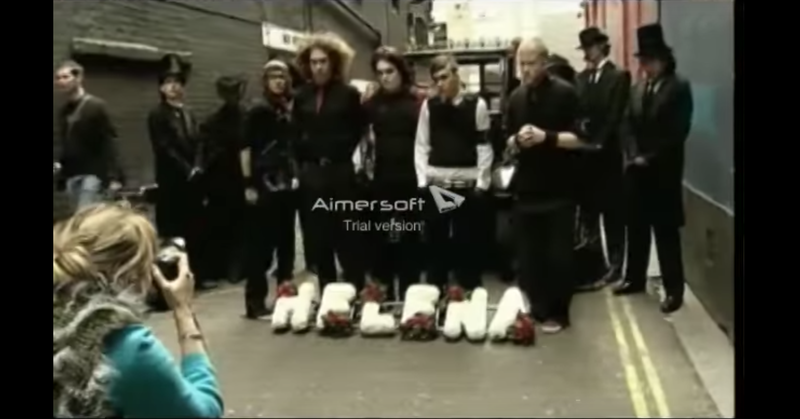 To celebrate Gerard Way's birthday, My Chemical Romance staged a funeral procession through the streets of London, ending at the Astoria where the band were set to play. They went the whole way with it too, having a woman play the role of the deceased Helena, inside the coffin, being transported by the hearse. They also had a phalanx of mourners dressed up to follow the classic hearse through the streets. 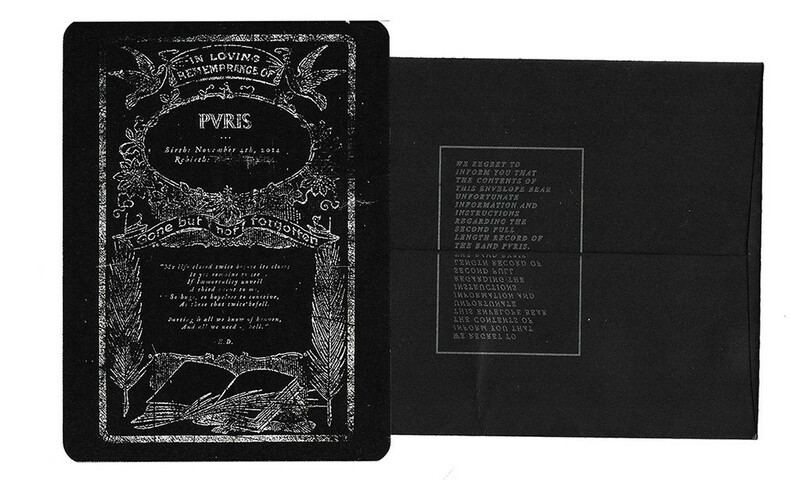 To the confusion of everyone, PVRIS took to twitter last year to post a death notice, with a letter reading "In loving remembrance of PVRIS". The tweet was accompanied by the hashtag #AWKOHAWNOH, which we now know to reference their latest album 'All We Know Of Heaven, All We Need Of Hell'. But at the time, the letter sent fans in to a lather about what it all meant. (It meant new music). 08. PANIC! AT THE DISCO POSTED FANS POTATOES? We're not going to pretend to understand this, but in order to build hype for 'Pray For The Wicked', Panic! At The Disco posted fans potatoes, with Panic iconography on them. Truly. We remain uncertain as to whether this one was a planned stunt or not, but on August 17, 2010 Alex Gaskarth sent All Time Low fans in to a frenzy when he posted unreleased 'Dirty Work'-era track 'Actors' to his tumblr. The track appeared on earthtoalex.com (which now redirects to alltimelow.com), and was never spoken about? Ever? It was the mystery that absolutely captivated the scene- what the heck was I Don't Know How But They Found Me? Who are they? Why are Dallon Weekes and Ryan Seaman denying they're in a band? They spent the better part of six months rebuffing fans on twitter claiming they had no idea what fans were talking about when they asked about their band. What jacket? I don't know what you're talking about. Truly iconic, and it only served to build the hype around them to an incredible degree when they eventually announced the project. Don't believe us? They only have three songs out, but they managed to sell out their UK headline run this August in days. Huge. To celebrate the release of their album 'The Peace And The Panic', Neck Deep ordered fans pizza for the most pop-punk party ever. And there you have it. Long may the stunts last, because they're honestly just so much fun to watch unfold.